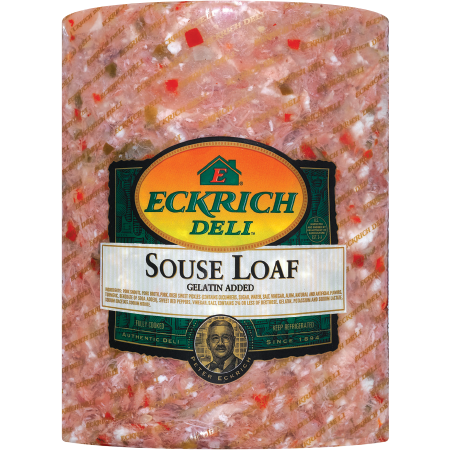 Eckrich Olive Loaf is a classic deli meat with a taste you can remember from your childhood. It’s made with high-quality chicken and pork. 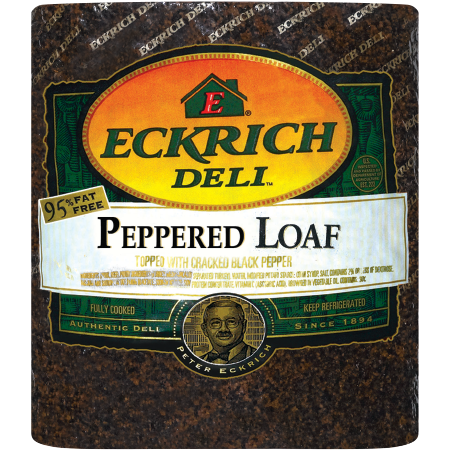 We also add sliced pimento olives and our signature seasonings. 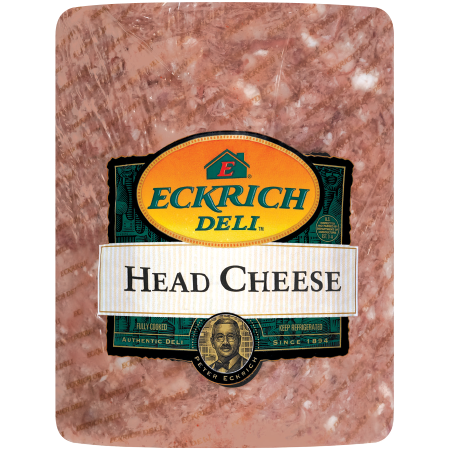 Eckrich proudly makes all of our lunch meat free of by-products or artificial colors or flavors. 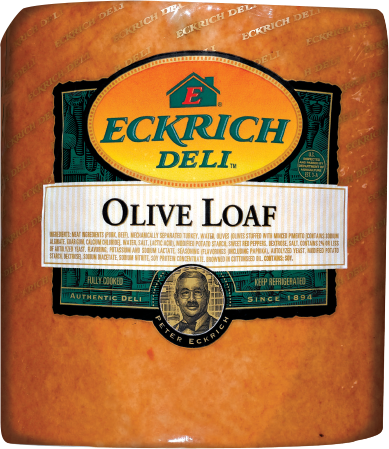 Our olive loaf is also gluten free and soy free. 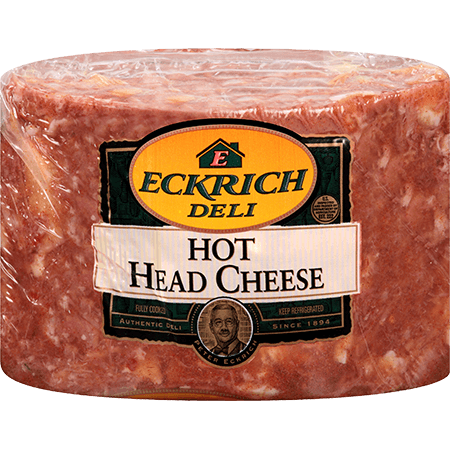 Try some sliced fresh on your next sandwich. Ingredients: MEAT INGREDIENTS (PORK, BEEF), MECHANICALLY SEPARATED TURKEY, WATER, OLIVES (OLIVES STUFFED WITH MINCED PIMENTO [CONTAINS SODIUM ALGINATE, GUAR GUM, CALCIUM CHLORIDE], WATER, SALT, LACTIC ACID), MODIFIED POTATO STARCH, SWEET RED PEPPERS, DEXTROSE, SALT, CONTAINS 2% OR LESS OF AUTOLYZED YEAST, FLAVORING, POTASSIUM AND SODIUM LACTATE, SEASONING (FLAVORINGS [INCLUDING PAPRIKA], AUTOLYZED YEAST, MODIFIED POTATO STARCH, DEXTROSE), SODIUM DIACETATE, SODIUM NITRITE, SOY PROTEIN CONCENTRATE. BROWNED IN COTTONSEED OIL. CONTAINS: SOY.